Condado de Alhama Golf Resort is situated in the Murcia region approximately 50km from Murcia city, 40km from Lorca and 30km to the coastal town of Puerto de Mazarron. It is well connected by modern motorways and is located at Junction 5 on the RM-23 travelling towards Mazarron or Junction 7 of the RM-23 if travelling towards Alhama de Murcia. Satellite Navigation co-ordinates are 37.74593 – 1.370587, or try searching the Points of Interest database for Golf Resorts > Alhama Signature Course. 1. Leave the airport and at the first roundabout follow signs for AP7 Cartagena. 5. 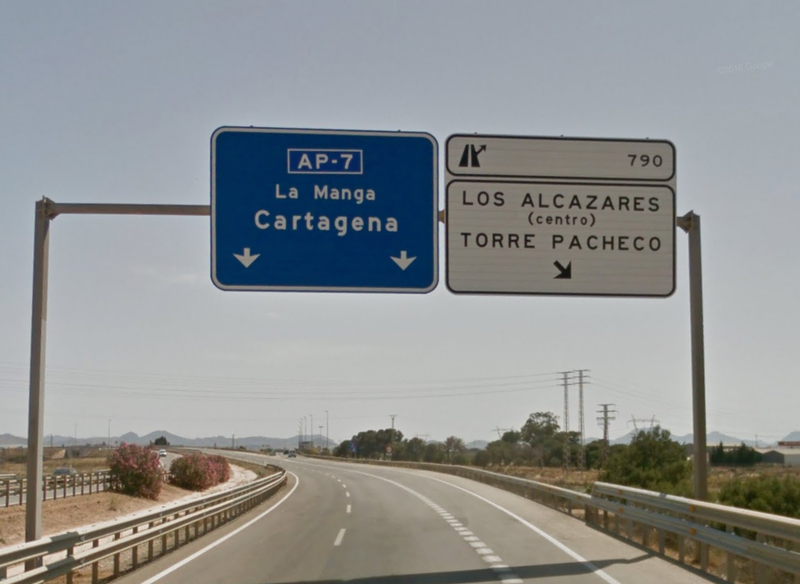 Leave AP-7 at Exit 790 signposted for Torre Pacheco (RM-F30). 6. Keep driving on the RM-F30 and follow signs for Torre Pacheco – you will pass a Shell garage and the old Polaris World Garden Centre on your left. 7. 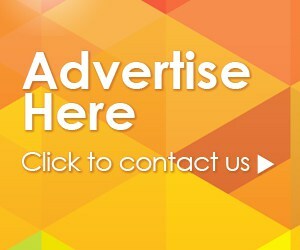 Shortly after the Polaris World Garden Centre, you will come to a roundabout – go straight on to the RM-F30 Torre Pacheco. 8. You will immediately see the Mar Menor Golf Resort on the right and the Hotel Spa Torre Pacheco on the left (a big red/pink hotel with white dots on. 9. 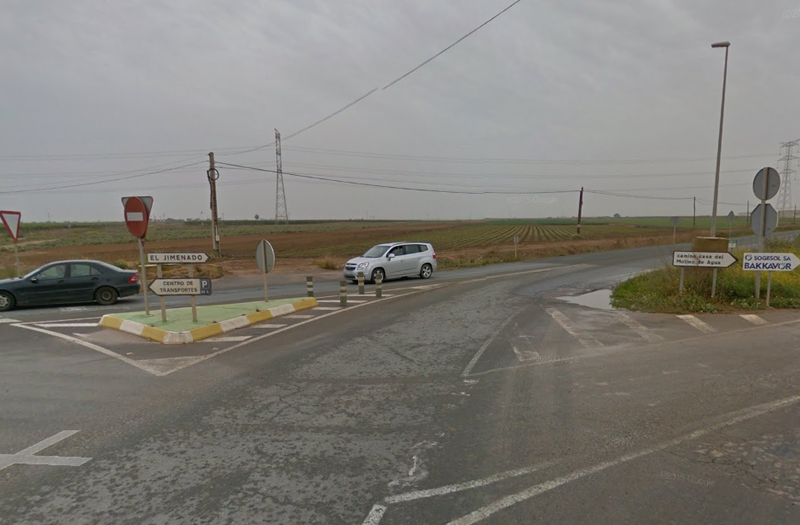 At the next roundabout, take the A30 turning, sign-posted for Murcia/Cartagena. 10. Continue on the A30 and at next roundabout take the second right turn. Note – the first sign on approach to the roundabout says A30 Murcia/Cartagena but the sign at the turn-off just says El Jimenado – don’t panic, this is the right road! 12 Shortly after you leave the village, you will see a tractor garage on the left and a tall white building on the right with a red and blue stripe and a chicken on the top! 13. Shortly after the chicken factory, you will reach a major roundabout. 14. Take the second exit, signposted RM2/A7 Alhama de Murcia and Andalucia. 15. Travel on the RM2 for approximately 30 km. 16. 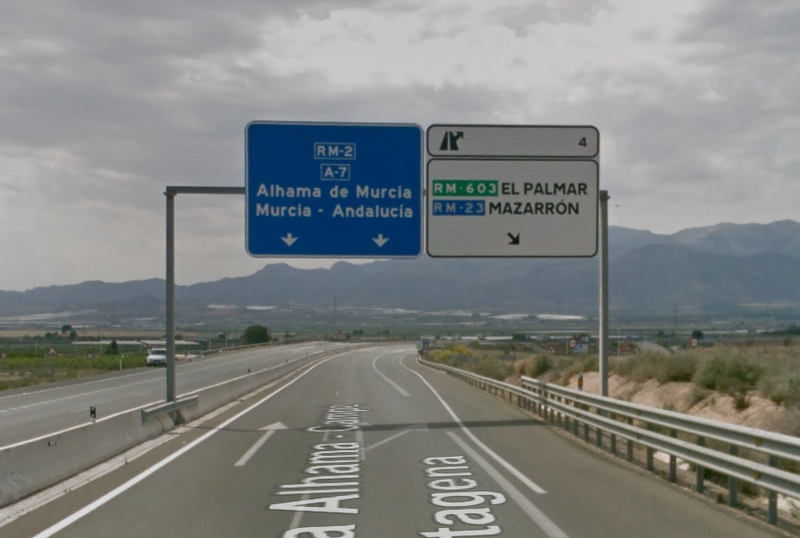 Look out for sign for RM23 Mazarron/MU603 El Palmar at Junction 4 – take this exit. 18. 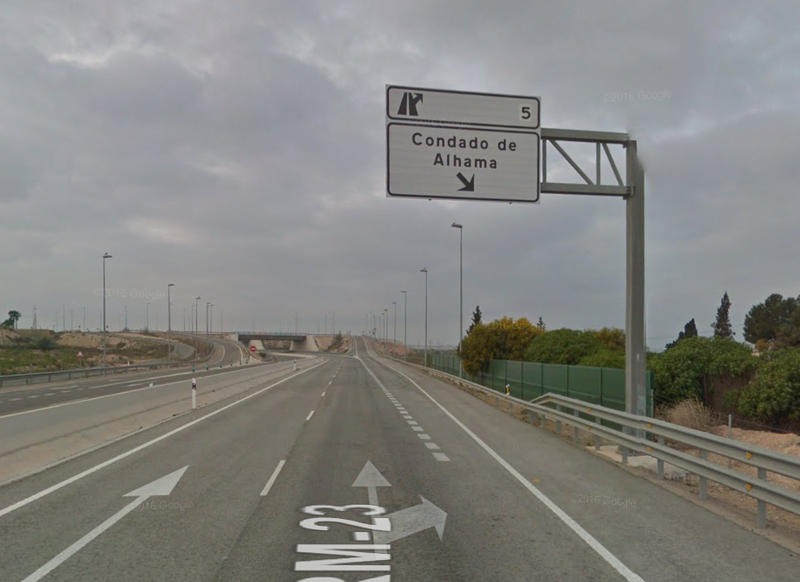 Take second exit off RM23 (exit number 5) signposted for Condado de Alhama. Leave Condado and take right turn on to RM23, signposted for Alhama de Murcia, Murcia and Fuente Alamo. 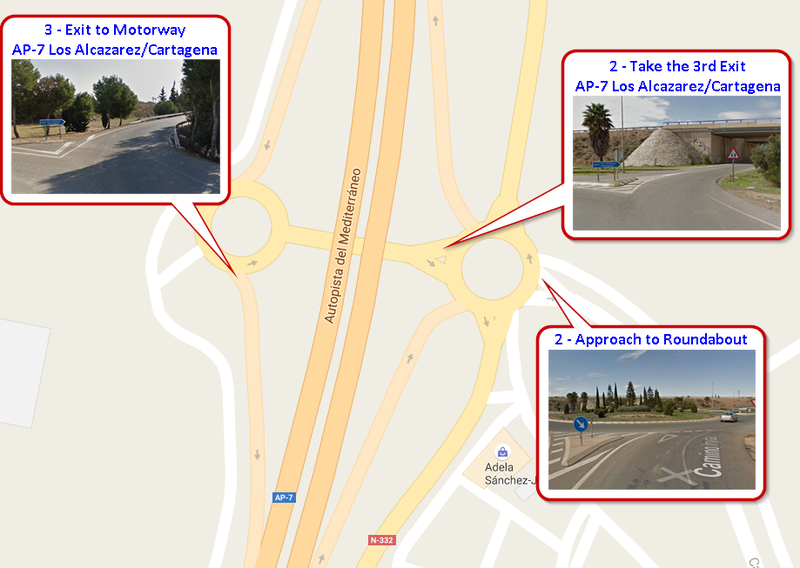 At roundabout (at end of RM23 motorway), take the first right turn on to the RM2 signposted for Cartagena and Fuente Alamo. Continue on the RM2 for approximately 30 km, until you reach the end of the RM2 and come to a large roundabout with speed bumps and flashing speed warning signs on approach to the roundabout. 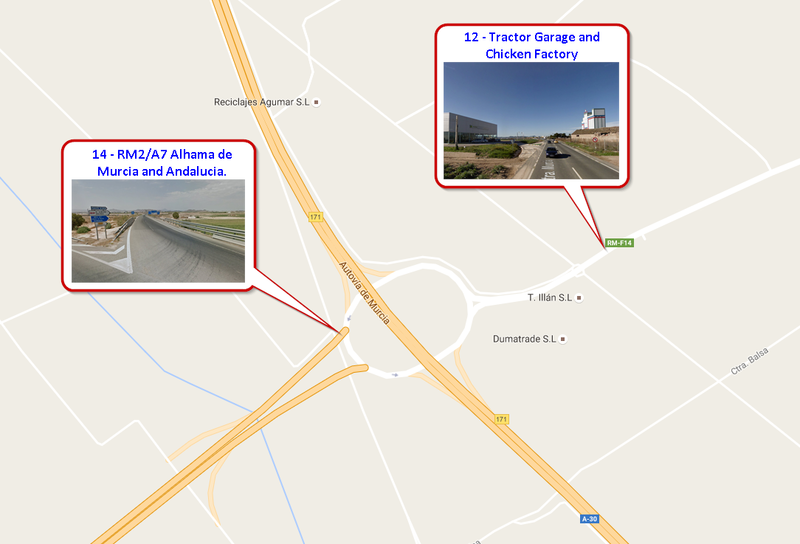 Keep in right hand lane – take 2nd exit – signposted F14 El Jimenado, Torre Pacheco and Los Alcazares (chicken factory will be on your left as you come on to the F14). Continue on the F14 until you reach the next roundabout. Take the 3rd exit signposted for Los Alcazares (F30). At the next roundabout, take the 2nd exit signposted for Los Alcazares. You will see the Barcelo Torre Pacheco Hotel on your right and the Mar Menor building work on your left. At next roundabout go straight on (second exit) signposted for Los Alcazares (F30) – you will pass the Polaris World Garden Centre on your right. 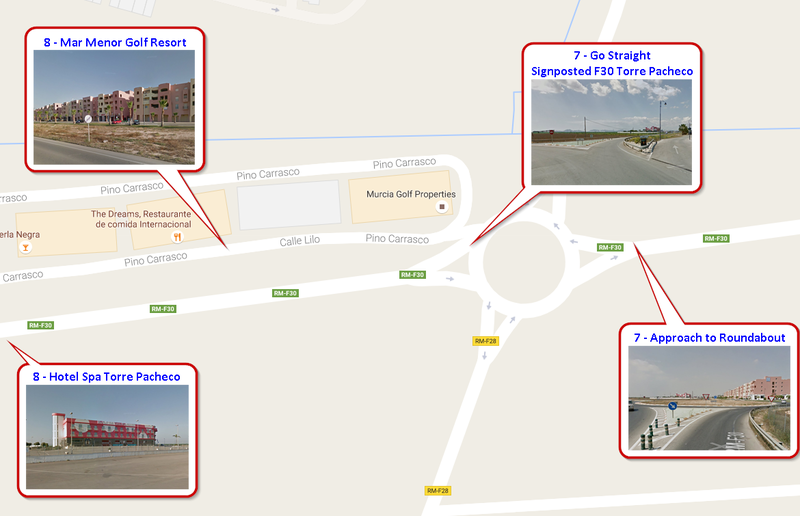 At the next roundabout go straight on (second exit) signposted AP7 Cartagena, Alicante Los Alcazares). At next roundabout take the second exit (straight on) signposted for AP7 Alicante, San Javier Airport. 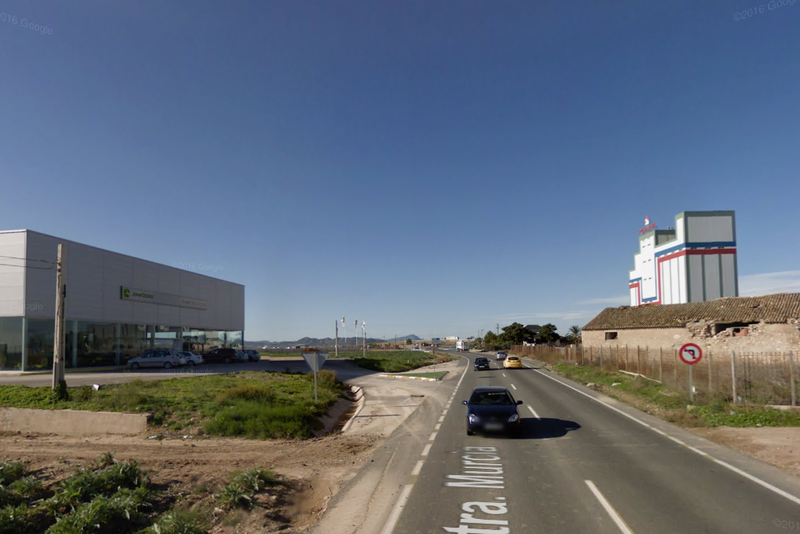 At the next roundabout turn left – signposted AP7 San Javier Airport. Merge onto AP7 – stay on AP7 for a short distance to exit number 784, signposted San Javier Airport. Leave AP7 at exit 784 and take second exit signposted for airport.